Prince Edward Island, Quebec French pronunciation is a Canadian province consisting of the main island itself, as well as other islands. It is one of the three Maritime provinces and is the smallest province in both land area and population. 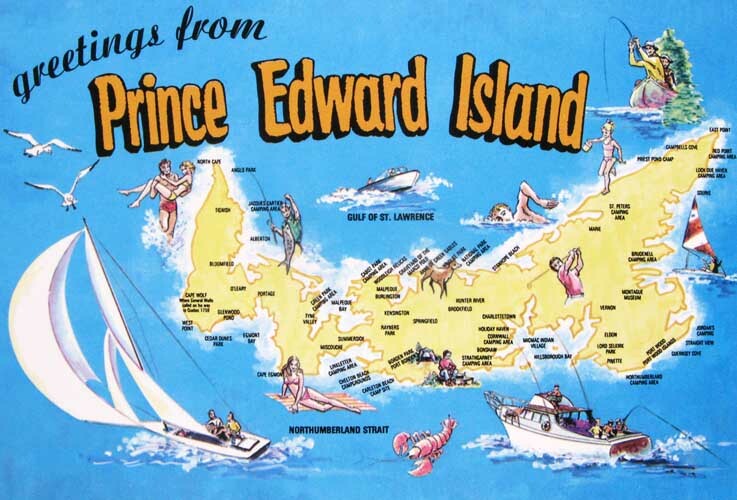 The island has several informal names: “Garden of the Gulf” referring to the pastoral scenery and lush agricultural lands throughout the province; and “Birthplace of Confederation” or “Cradle of Confederation”, referring to the Charlottetown Conference in 1864, although PEI did not join Confederation until 1873, when it became the seventh Canadian province. The backbone of the economy is farming, as it produces 25% of Canada’s potatoes. Historically, PEI is one of Canada’s older settlements and demographically still reflects older immigration to the country, with Celtic, Anglo Saxon and French last names being overwhelmingly dominant to this day.